Looking for the perfect combination of entertaining and educational? 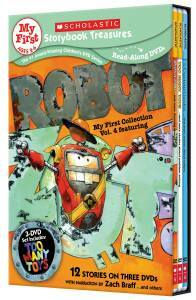 Scholastic has some fabulous new DVD titles out that will surely be a big hit at your house! 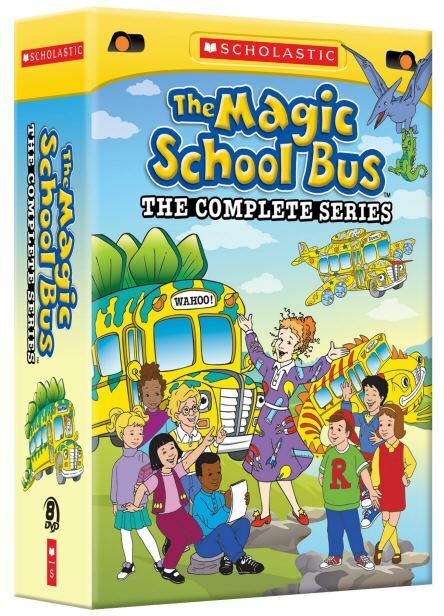 I know that the Magic School Bus collection has been a HUGE hit at our house! Click "Apply" to activate the code. 15% will be taken off the purchase price for the entire purchase. PLUS - One lucky US reader will WIN ALL of these great titles as part of Jingle Jubilee giveaway hop that runs from November 16th to 30th! 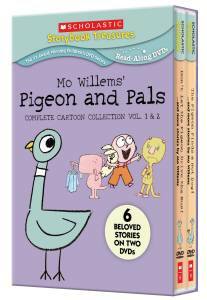 Since he unveiled his unforgettable conniving pigeon who’ll do absolutely anything to drive a bus or eat a hot dog, Emmy Award®-winner and Sesame Street veteran Mo Willems has become one of the most beloved children’s author/illustrators working today. 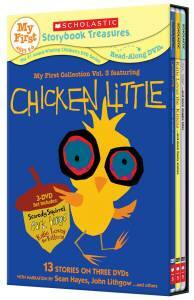 His best-selling books have won dozens of awards and honors, and The New York Times calls his Pigeon “one of this decade’s contributions to the pantheon of great picture book characters.” Now, children can laugh along Scholastic Storybook Treasures™ brings all the authors’ characters to life and together for the very first time in colorfully and whimsically animated video adaptations with MO WILLEM’S PIGEON AND PALS: COMPLETE CARTOON COLLECTION, VOL 1&2. Following the first two installments in the MY FIRST COLLECTION DVD series which captured acclaim and awards such as the prestigious Parents’ Choice Gold, the Creative Child Magazine 2011 DVD of the Year, a NAPPA Gold and The Oppenheim Toy Portfolio Platinum Award – come two more DVD sets sure to thrill preschoolers and their families alike: MY FIRST COLLECTION, VOLUME 3 FEATURING CHICKEN LITTLE and MY FIRST COLLECTION, VOLUME 4 FEATURING ROBOT ZOT.